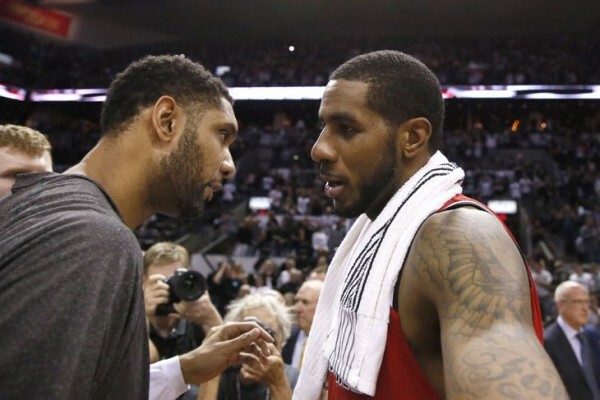 The San Antonio Spurs and Dallas Mavericks are the big winners of the 2015 NBA free agency, be it for signing LaMarcus Aldridge while being able to keep Tim Duncan, Danny Green, Kawhi Leonard and possibly Manu Ginobili, or for making up for lost players by adding Wesley Matthews and DeAndre Jordan, while putting serious hurt on the Los Angeles Clippers hopes, or almost dismantling the Portland Trail Blazers. Think about it. The Portland Trail Blazers lost 80% of their starting lineup in this offseason. Nicolas Batum was traded, while Aldridge, Robin Lopez and Matthews left via free agency. The Blazers got Damian Lillard to sign that important extension and added Al-Farouq Aminu and Ed Davis in free agency. That’s not a very good trade off, and from being a team that’s one piece, not a major one, away from making a serious challenge at an NBA title (maybe Matthews staying healthy would have meant that happening last season already) they look like a group that’s not going to make the playoffs in 2016. Meanwhile, the San Antonio Spurs, if they do bring back Manu Ginobili, seem like the best team in the NBA, although you know that all those assumptions in the offseason tend to fade away into thin air once the actual season begins. But seriously, a frontcourt that includes Tim Duncan and LaMarcus Aldridge, who replaces Tiago Splitter (!!!) while keeping both Danny Green and Kawhi Leonard? That’s a scary team, and a scary thought for others around the NBA. Think of the Los Angeles Clippers, who can’t afford to find a big man in Jordan’s caliber, despite all of his flaws and limitations. No one is available, they don’t have the cap space, and trading for one is virtually impossible. Chris Paul, Blake Griffin, J.J. Redick, Paul Pierce. That’s not a bad team at all, not a bad core. But suddenly, instead of taking that extra step towards a championship, they’ve taken a step backwards. The Dallas Mavericks looked in a very bad spot once the offseason began. Hardly anyone signed, and a history of doing poorly during free agency. But losing Tyson Chandler was negated by the arrival of Jordan, and Matthews, if he’s healthy, will be a much better fit on this offense than Monta Ellis. A championship team? Maybe not yet, especially without a point guard, but the outcome of this free agency, even without Aldridge signing for them, is quite positive.